The European Central Bank will consider carefully before moving to soothe the effects of negative interest rates on eurozone lenders, board member Sabine Lautenschlaeger told the press on Tuesday. When banks park cash with the ECB rather than lending it out or investing it, they suffer a negative interest rate of -0.4 percent. That leaves the sector as a whole paying around 7.5 billion euros ($8.4 billion) per year to the Frankfurt institution for the privilege. However, the burden on banks is eased by the ECB’s low-cost loans, known as targeted long-term refinancing operations (TLTROs), which offer increasingly favourable rates the more banks lend to the real economy. Central bank chief Mario Draghi said last week that he was ready to come to banks’ aid if negative interest rates proved to be hurting their profitability. Markets believed he was hinting at a so-called “tiering” system, which would exempt part of lenders’ deposits with the central bank from the costliest negative rates. Denmark and Sweden already have such measures in place. 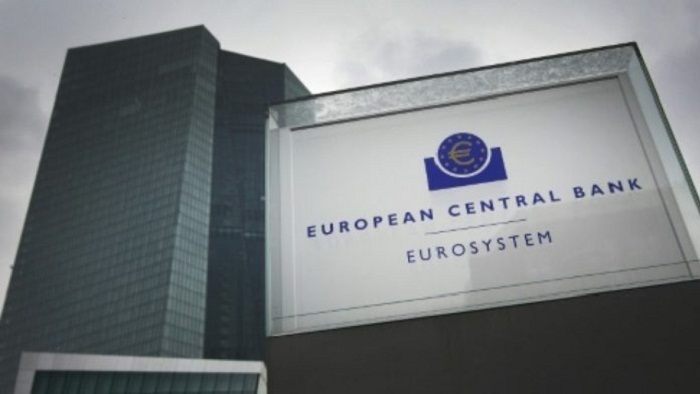 But eurozone central bankers are divided over the need for the step, which could be complex to set up and risk confusing signals about future policy. Lautenschlaeger said it was not yet clear “whether there is a monetary policy case for such an instrument and which consequences tiering would have” on the ECB’s goal of securing inflation just below 2.0 percent. “I am not yet convinced” that it is necessary, she added. While Dutch central bank head Klaas Knot has similar reservations to Lautenschlaeger, France’s Francois Villeroy de Galhau is in favour of offering banks relief. Both governors sit on the ECB’s 25-strong governing council, made up of all 19 of the bloc’s central bank chiefs and the six members of the executive board. The body has yet to discuss tinkering with its negative rate policy. But the central bankers agreed last month to offer a new round of TLTRO loans later this year, although at less generous conditions than previous ones. The next wave, set to start in September, will include an “incentive” for banks to “smoothly move out” of their dependence on central bank lending, Lautenschlaeger said.